The Microchip PIC32 allows for implementation of a Full Speed USB device. 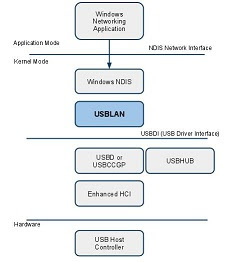 Implementing a Networking over USB solution allows a PIC32 based design to connect to a Microsoft Windows system and use TCP/IP network connections using the Belcarra Windows USBLAN Class driver. Microchip makes available a TCP/IP stack and a demonstration application that implements a Web Server. In their demo the Web Server can be accessed via the Ethernet. 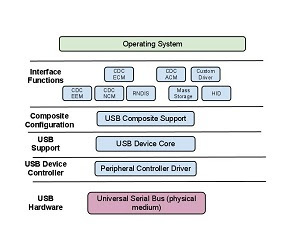 Belcarra has created a Networking over USB driver (USBLAN Function Driver) for Microchip that allows the TCP/IP stack to use USB to connect to a Windows system. A demonstration kit is available to demonstrate this capability. This demonstration kit is adapted from Microchips Ethernet implementation of a web server demo. The Belcarra kit uses the v2.9a version of USB from Microchip and has been implemented with the most recent production version v5.42 of the Microchip TCP/IP stack. Belcarra can also on request make available a version of this demo using the Microchip version v6 Beta TCP/IP stack. Belcarra’s implementation of Networking over USB for the Microchip PIC32 is a very low cost networking solution for PIC32 projects, eliminating the need to add an Ethernet chip while using less Flash and RAM resources. Any of these can be loaded into the PIC32 Starter Kit board using the instructions below. The Windows Test System should have a System Restore Point created to simplify removal of test drivers.